Happy Checkout supports custom HTML, so the possibilities of what you can embed are endless. You can then use the advanced CSS box to style your HTML however you'd like. 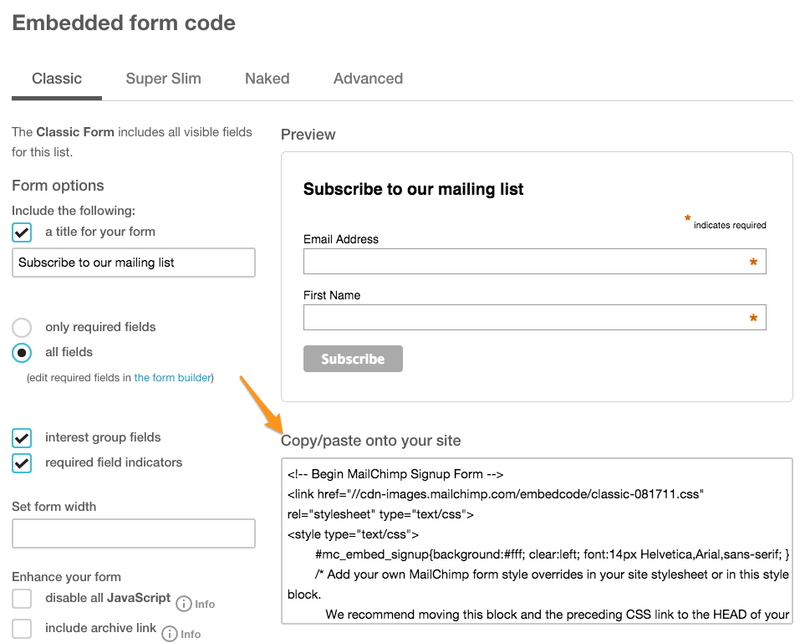 Below is an example of how to embed a MailChimp email signup form. 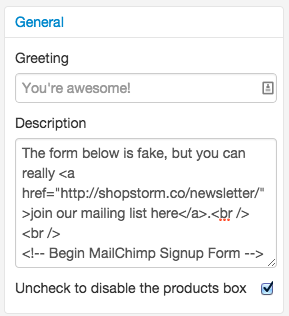 Create a new MailChimp form. You can find out how to do that here. In Happy Checkout, click on the "General" tab. Then paste the MailChimp HTML into the bottom of the "Description" box. 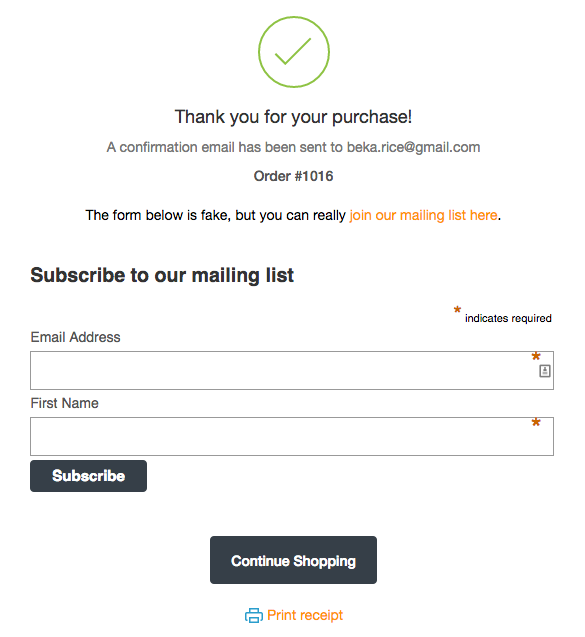 Now, you should see the MailChimp email form on your page. That's it! You can add any HTML forms or other elements into your Happy Checkout-generated pages. This is simply one very useful example of how you can use embedded HTML to make your Thank You page work for you.